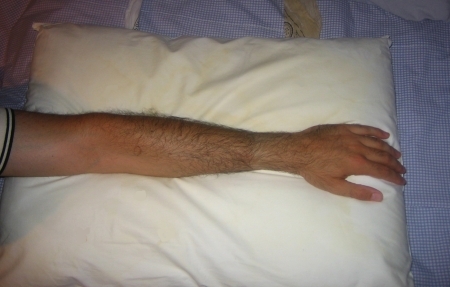 This is the second post in a two part series dealing with and treating a wrist fracture. My last post discussed identifying and treating a fracture while this post will show you examples of some homemade splints that you could create quickly. Since a child�s arm is significantly smaller than an adult�s arm, some of the quick and improvised homemade splints that you�ve learned about in a First Aid course might not work so well for children. 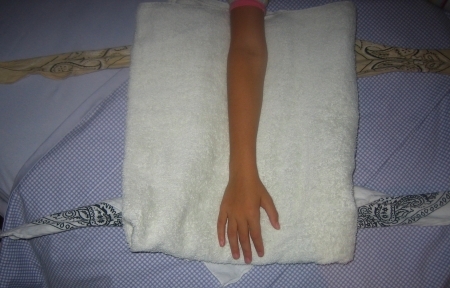 An improvised home made splint that I have found that works best for a child is a simple bath towel. In a first aid course, they teach to use either a roller bandage or a triangular bandage to tie the splint to the arm. 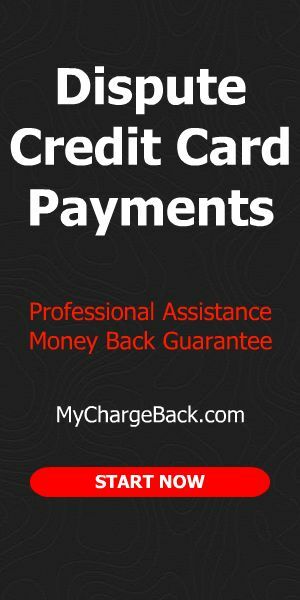 The problem is that most people simply don�t have either of these bandages lying around the house. The best things to use are a couple of bandannas. The more colorful the better. 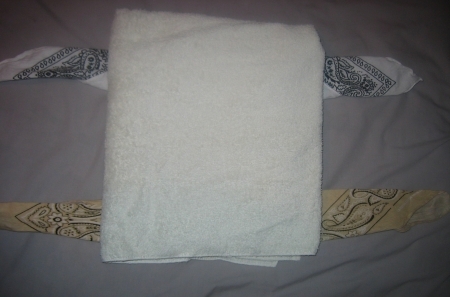 Kids aren�t usually frightened by bath towels and bandannas as they are with regular splints and bandages. 1. Place the towel under your child�s arm so that the towel covers the distance from her fingertips to her elbow (or slightly past the elbow). 2. 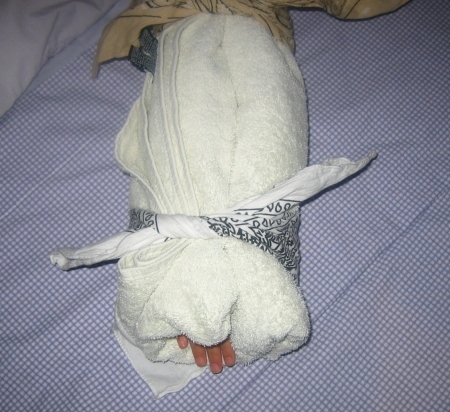 Take a bandanna and position it either above or below the injured wrist and tie it (double knot) so that the arm is completely and tightly wrapped in the towel. 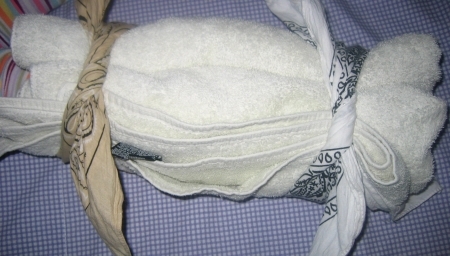 Take the second bandanna, place it as well either below or above the injured spot, and tie it tightly. 3. Make sure that you could visibly see and feel the fingertips. 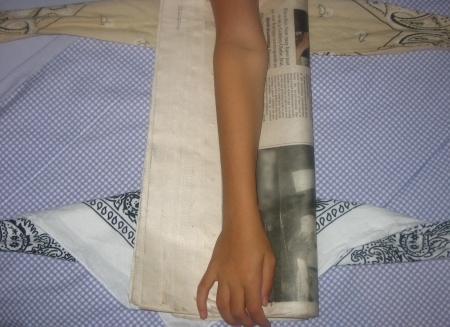 For adults, a pillow or even a newspaper folded in half would work fairly well. Follow the same procedure as above for splinting for adults. This post was submitted to the October 22 Edition of the Carnival of Family Life hosted over at Raising A Healthy Family. ow i did these checks and they all showed posative for a fracture but she wont believe me! 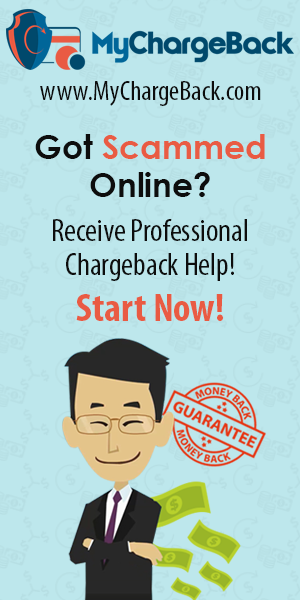 site and at the moment this time I am browsing this website and reading very informative content at this time. Congrats MR. I’m sure it will be worth the investment and put to good use. Not a bad price Th2t7#8a1&;s what I paid for my labtop on black friday, possibly 3-4 years ago. One of these days, I’m due for an upgrade as well. It’s getting slow.